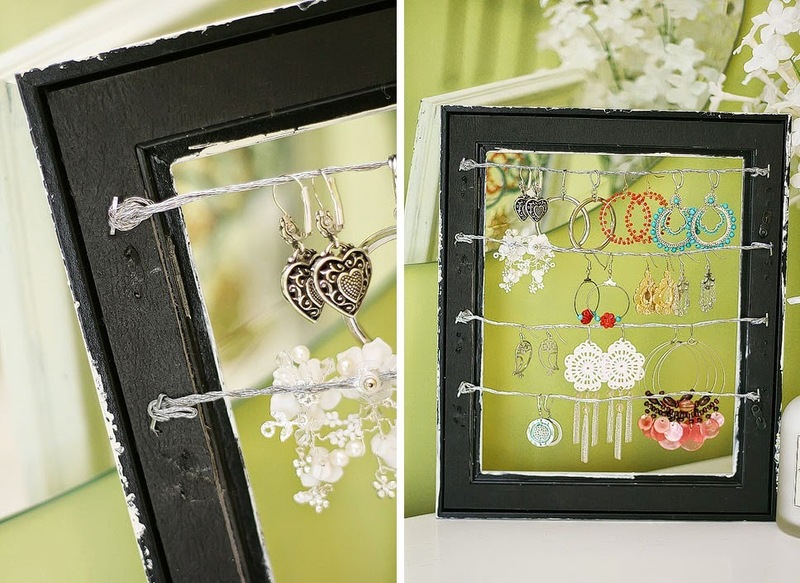 We offer step by step instructions how to make an incredibly simple, but at the same time comfortable and beautiful stand for storing earrings. 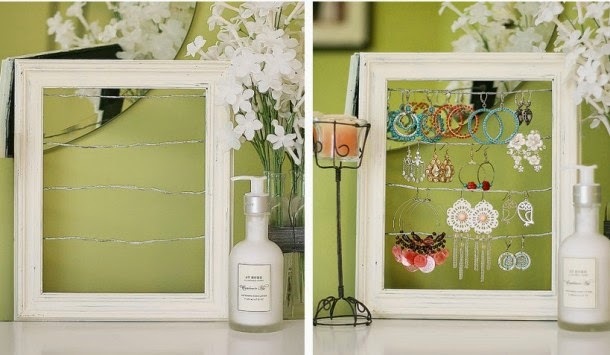 jewelry storage ideas. 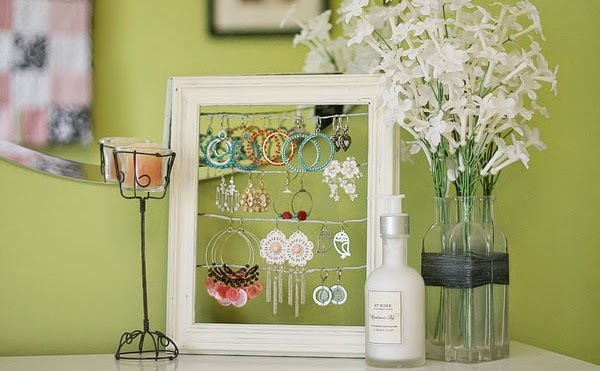 we previously shared a great post about all ways of ornament and jewelry storage that will help you in this purpose, don't miss"20 Original jewelry storage ideas and solutions"
* You can use ready-made woven wire or a weave its strands of thinner wire, then such a stand enables you to hang not only the usual earrings, but also stud earrings. Step 1. Primarily, you can repaint the picture frame in a color that matches the color of the dressing table and wardrobe. Step 2. When the frame is ready, using pins or small nails fasten on the reverse side of the wire. Then you can hang earrings on a stand.